Traditionally, Soviet and Russian Defence Ministers have carried the military rank of General. Anatoly Serdyukov, recently dismissed by President Putin, was an exception, and his civilian status reflected a desire to make the MOD more subject to political control. Aleksandr Golts discusses the implications of his successor Sergei Shoigu once again accepting his General’s epaulettes (photo: RIA NOVOSTI AGENCY). As was to be expected, the days following the removal of Anatoly Serdyukov from his post as Russian Minister of Defence and his replacement by Sergey Shoigu provided political analysts and journalists with a wonderful opportunity to make irresponsible predictions. My colleagues are literally examining the new minister’s first steps under a microscope. Valery Gerasimov has been appointed Chief of the General Staff (CGS) of the Armed Forces: given his conflicts with Serdyukov, is this a sign that army reform is off the agenda? Shoigu has ordered officer cadets to take part in parades again: this definitely means the reform of military education has been overturned. The process of closing down military hospitals has been abandoned: could this be the end of all Serdyukov’s reforms? Of course in today’s Putinesque Russia, shaken by a real political crisis, nothing can surprise you. But most of these hypotheses just lack common sense. Take for example the supposedly strained relations between Nikolay Makarov, CGS under Serdyukov, and his successor, and former deputy, Valery Gerasimov. If Makarov genuinely didn’t get on with Gerasimov he would never have appointed him commander of the Central Military District in April 2012, since this post made him eligible to become Chief of the General Staff or a deputy minister. And all the profound discussion of the meaning of cadets and parades and the closure or otherwise of military hospitals is equally nonsensical. There is however one real fact which might allow us to speculate (unfortunately, with no grounds for optimism) about the future of army reform. This is Vladimir Putin’s decision to revive the practice of giving the Minister of Defence the title of General, dropped in 2007 with Serdyukov’s appointment. Serdyukov’s predecessor at the MOD, Sergey Ivanov, also proudly wore the general’s stars he earned in the FSB, and saw himself as an officer, as does retired KGB Major Vladimir Putin. Explaining Putin’s decision to award Shoigu his epaulettes, Kremlin commentators assert that the president was trying to give the new minister credibility with the military – credibility which his predecessor conspicuously lacked: he was universally known by the nickname ‘Marshall Taburetkin’ [Marshall Stoolkin’ – trans.] – a reference to his earlier job as a furniture salesman. But the point is that Serdyukov succeeded where all his illustrious epaulette-wearing predecessors had failed. He did what even Putin was afraid to do in 2001 when he said that he didn’t want to be ‘the Gaidar of the Armed Forces’. And in the end he did precisely what Putin wanted him to do: he dismantled Russia’s ineffective military machine. I am sure that if Serdyukov had accepted his epaulettes, he would have been as hamstrung as the rest. The reason Putin pulled back from military reform was that he had the totally false idea instilled in him that he belonged to the officer corps. Russian generals are grandmasters at bootlicking and expert psychologists, and use their subtle arts to make each new boss feel part of the army clan. And experience has shown them that the ones most likely to fall for it are those who are not army people, and who in the depth of their souls feel unworthy of their epaulettes. Nevertheless wearing a lot of stars on your shoulders inherently presupposes military training and appropriate life experience. Vladimir Putin and Sergey Ivanov were both amazed in their time to discover that the military vertical was not as irreproachable as was imagined in security circles. The ‘Kursk’ tragedy, for example, showed that generals and admirals could tell their political masters the most blatant lies. All this is the result of the false position in which a Minister of Defence inevitably ends up if he considers himself part of the military establishment. A Minister’s civilian status is the first (though not by any means the only or the most important) step towards establishing if not civil, then at least political, control over military matters. It is a sign of a strict separation of functions between military and political leaders. It is only in Russia that you will, unfortunately find the strange term, ‘military-political leadership’, which in any normal democratic country would look like an oxymoron. Effective management of the Armed Forces is only possible with the strict delineation of function, and hence responsibility, between military and political leaders. This system of relationships between the army and the politicians was described by a 19th century British statesman as: ‘It is a soldier’s job to kill the Queen’s enemies. It is a politician’s job to point out these enemies.’ There should be no possibility of a situation arising where the generals take a unilateral decision about what constitutes a threat to a country at a given moment. They should merely advise the country’s political leaders, and when a decision has been taken, carry it out to the letter. One civilian minister is of course not enough to establish civil control. Ministries of Defence in Western countries are usually staffed predominantly by civil servants, who formulate decisions which are carried out by the military after they have received the approval of the government of the day. Serdyukov and former CGS General Nikolay Makarov attempted to create a Ministry of Defence of this type, separating the Ministry’s existing structures into two ‘pillars’: a civilian one which would be responsible for financial, economic and material issues, and a military one to be responsible for specifically military matters. It so happened that the senior posts on the civilian side were filled by colleagues of Serdyukov from his previous job at the Federal Tax Service (that’s tradition for you – sometimes it seems as though the KGB contingent in Dresden [where Vladimir Putin served from 1985 -1990 - trans.] was the size of a division). And it was the presence of Serdyukov’s ‘battalion in skirts’ that really got up the ‘bureaucrats in epaulettes’’ noses: they are the main target of all the conceivable and inconceivable accusations of corrupt practices currently under investigation. The accusations are probably true. It couldn’t be otherwise in a country that runs on corruption. But for all that, under Serdyukov the Ministry began to look more or less like the MODs of other developed countries. The Minister himself turned from a ‘commander in chief’ into a politician, and his ministry gradually turned into an institution for developing defence policy, that tried to match the defence requirements of the state with its capabilities. 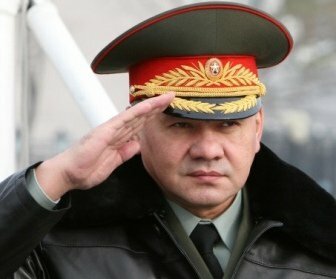 Making Shoigu a General turns the MOD back into a purely military establishment, and the Minister himself is doomed to take not political, but strictly technical decisions and to take responsibility for them. He inevitably ends up hostage to the generals, who make the real decisions. Russia’s Ministry of Defence will now be back in uniform, just as it used to be. No one will try to educate hundreds of civil servants to be competent in military matters. Or, for that matter, to educate a new breed of general who will be ready without prejudice to carry out the orders of any civilian minister, and not just one who has been given the rank of General.